As you all know, a new brand split is occurring next month. For many, people hopefully expect a better brand split than last time. With this in mind, today I plan to take a look back at what went right and what went wrong with the previous brand split. 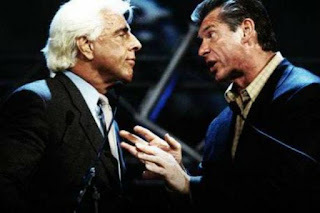 To set a background, the split occurred because McMahon and Ric Flair (who got his shares from Shane and Stephanie) did not get along and then the board each gave them a show. Flair got Raw and McMahon got Smackdown. This led to the draft soon after Mania. The first error of the brand extension era was the first draft. The first few picks were fire and made sense with Rock, Undertaker and Angle going 1-2-3. Then what happened next is where things started to not make sense. The NWO, which was losing steam quickly, was drafted as a group, while at the same time splitting up tag teams such as the APA, The Dudleyz and The Hardyz. Speaking of the Dudleyz, the company did decide to waste picks on TV to separate them, which led to absolutely nothing (although we did get the debut of Batista from D-Von). Other weird picks that were televised were Mark Henry and Lita. A second error here was the split PPV’s. While this idea works in theory, for the most part it led to fairly terrible cards that people purchased. This idea maybe would have worked in the infancy of the brand split when the roster was still deep, but after a year, the rosters thinned out and the cards looked worse and worse. 2004 was especially brutal to the split PPV’s as they had PPV such as the Great American Bash and Badd Blood exist when they were basically a regular TV show on a good day. 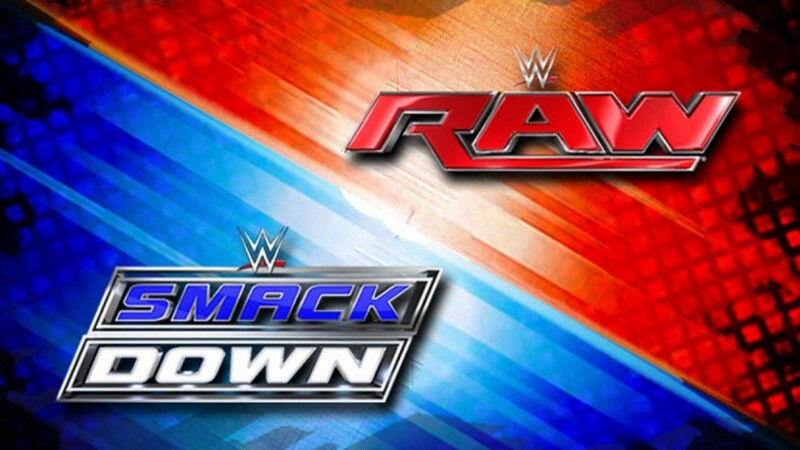 A positive of the brand extension was the Paul Heyman Smackdown era. Edge, Rey Mysterio, Chris Benoit, Kurt Angle, Eddie Guerrero and Chavo Guerrero were the faces of this era. They had put on excellent matches week in and week out with fluid storylines that actually made sense. The one thing that I didn’t like was that Raw took Jericho after the excellent Edge feud. Then again, the Smackdown Six wouldn’t have existed since Eddie and he who shall not be named (Benoit) came over. Even the main event scene wasn’t bad. They had a debuting Lesnar, a rejuvenated Undertaker, Big Show that didn’t bore everyone (still boring to some though) and Kurt Angle from time to time as well. 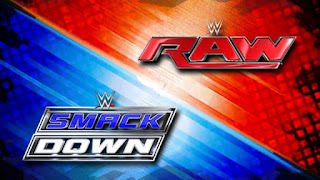 Negatives of Smackdown would be the horrific angle involving Mr McMahon and Mr America, Billy and Chuck (although the wedding and Bischoff being the priest was an excellent use of the Raw/Smackdown feud), Zach Gowen angle, Heidenreich, the flop known as Kenzo Suzuki, and Orlando Jordan as US Champion. All of these do deserve their own articles, but I do not want you to suffer while reading this article. Raw, on the other hand, stunk. The Reign of Terror for the most part sapped the show of energy. 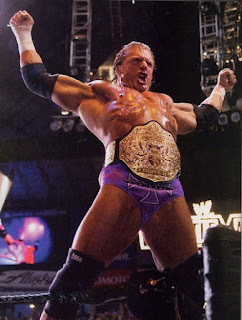 Week after week, it was the Triple H show. Triple H didn’t even have to fight for the title, he was awarded it by Bischoff. That already set the title off of a bad foot. They tried to elevate his World Heavyweight Champion by merging the Intercontinental Championship and that did not end up well. The belts were split when the Intercontinental title was reactivated not even six months later. A few bright spots did exist during the earlier stages of the period. Odd couple tag teams worked well with the use of Booker T and Goldust along with RVD and Kane were teams that became fan favorites. Christian became over. Solo Randy Orton became a passable main eventer. Back to the Reign of Terror for the most part, it sucked outside of a few triple threats between HHH, HBK and Benoit. So many missed opportunities and lackluster feuds with everyone in his path. Feuds with Steiner, Goldberg, and Kevin Nash shouldn’t happen. The Shawn Michaels feud dragged on for years. Booker should have beaten HHH at WrestleMania 19, so that we could avoid that Nash feud. The Kane feud led us to the worst angle in wrestling history, the absolute worst. Also, for some reason, Eugene was a part of this era, which is why I also want to forget it. Learning from this past experience, they should not do split PPV’s, as they do become watered down as well as oversaturating the market that is there. They should not split the title belts, as having two world champions basically means that you do not have a world champion. You devalue the belt and you end up having guys that weren’t close to being ready as champions. 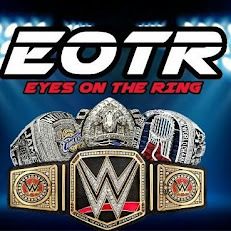 The split tag team titles did not work either as again you had the issue of makeshift teams fighting for the belt. With the company calling for former talent to come back, this illustrates a depth issue that exists. Would I trust the company to run a brand split? I wouldn’t. They have had issues running one show lately, so running two shows with two completely different sets of talent will most likely stress out Vince and company even more. Part 2 of this will cover from WM21 when the torch was passed to Cena and Batista until the end of the brand split in 2011.